I am middle school teacher. I am applying now and have been since August when the HR called me and asked was I still interested. How long does this hiring process take? I would think I would have been called by some of the schools since Ive been applying since school opened- as they come on the job board. One site said they will let me kn...See More I am middle school teacher. I am applying now and have been since August when the HR called me and asked was I still interested. How long does this hiring process take? I would think I would have been called by some of the schools since Ive been applying since school opened- as they come on the job board. One site said they will let me know in October. Are sites able to hire and is there on-going budget issues at the district? I thought that was resolved last fall? I'm a 5th grade teacher looking for a Nevada teacher to sign up for our postcard exchange. If you're interested, go to the following link and input your information. So my husband and I are working on a relocation. I have applied to over 30 CCSD positions with only 2 interviews. I have been told it's who you know, not what you know and who cares if you're qualified. I do not teach a core subject which might be an issue. I am endorsed in Business Education. Is it the norm for schools to ignore your letters of in...See MoreSo my husband and I are working on a relocation. I have applied to over 30 CCSD positions with only 2 interviews. I have been told it's who you know, not what you know and who cares if you're qualified. I do not teach a core subject which might be an issue. I am endorsed in Business Education. Is it the norm for schools to ignore your letters of interest and never offer you an interview? I am finding that though I am qualified, I cannot land a darn interview to save my life. Several times I was told that a candidate is working towards a cert so they are holding the job for them. WTF kind of practice is that?? I am beyond frustrated and would like some advice or insight on hiring practices there. Lose 3 weeks off our holidays and won't get paid for them. Moving or just moved to Las Vegas? I have a 3 bedroom, 3 bath townhouse and am looking for a roommate. I am not a teacher but I have two brothers, a sister, a sister-in-law and my mom are all teachers. My mom even has a school named after her in Vegas, so why not a teacher roommate. If interested just send me an email at mitchgivens@yahoo.com and I will fill you in with all the info...See MoreI have a 3 bedroom, 3 bath townhouse and am looking for a roommate. I am not a teacher but I have two brothers, a sister, a sister-in-law and my mom are all teachers. My mom even has a school named after her in Vegas, so why not a teacher roommate. If interested just send me an email at mitchgivens@yahoo.com and I will fill you in with all the information. If you resign, is it difficult to come back? I need to take a year off to deal w/ some family issues, and the FML people told me I would have to resign from the District. I tried to get a formal leave of absence from them, but they won't budge. Has anybody here come back to teaching after resigning? anon On 4/12/17, falconeddie1970 wrote: > I need to take a year off to deal w/ some family issues, and > the FML people told me I would have to resign from the > District. I tried to get a formal leave of absence from > them, but they won't budge. Has anybody here come back to > teaching after resigning? Talk to your association...See MoreOn 4/12/17, falconeddie1970 wrote: > I need to take a year off to deal w/ some family issues, and > the FML people told me I would have to resign from the > District. I tried to get a formal leave of absence from > them, but they won't budge. Has anybody here come back to > teaching after resigning? Talk to your association or an attorney if necessary. I don't trust school districts with FMLA issues as far as I can throw them. Guys, check out the new PGP in your interact -messages to teachers. we have been screwed again by the union. Now a college credit is only worth 5cu rather than 8 CU. If you complete a masters with 32 credits you still will not move across the salary column. I'm sure CCEA is proud of their service to teachers- No pay increase for a masters!! 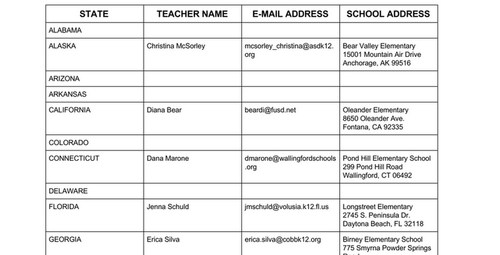 anyone ...See MoreGuys, check out the new PGP in your interact -messages to teachers. we have been screwed again by the union. Now a college credit is only worth 5cu rather than 8 CU. If you complete a masters with 32 credits you still will not move across the salary column. I'm sure CCEA is proud of their service to teachers- No pay increase for a masters!! anyone who started a masters- money down the drain- they arn't even grandfathering in the changes.